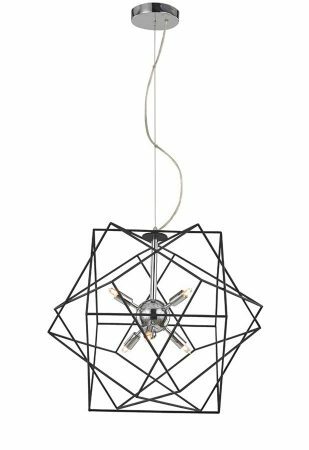 This Franklite Vinci 6 light polished chrome ceiling pendant with antique metalwork cage is contemporary, bright and stylish. Featuring circular ceiling cup, wire suspension and clear cable leading to a central ball, with six radiating lamp bulbs. The lamps are surrounded by a decorative antique finish ironwork cage, with cubes at different angles to create a geometric shape. 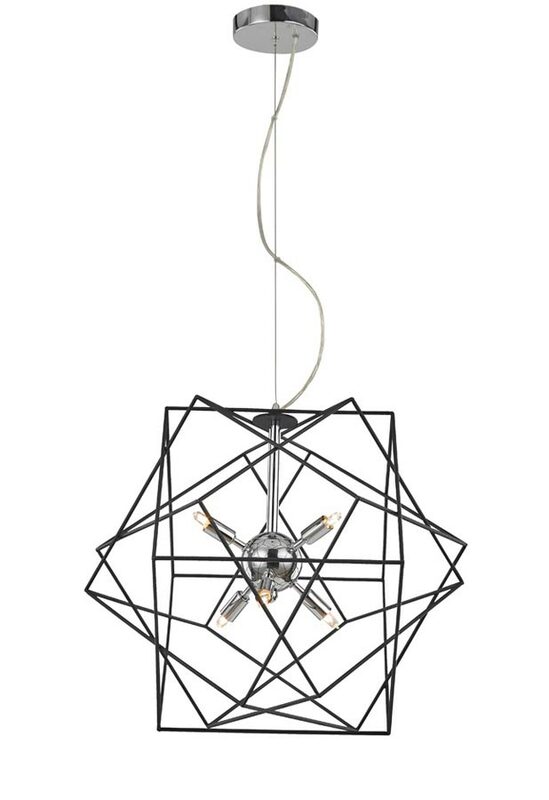 Ideal pendant lighting for over a dining table, in a bedroom, living room, hallway or kitchen area. 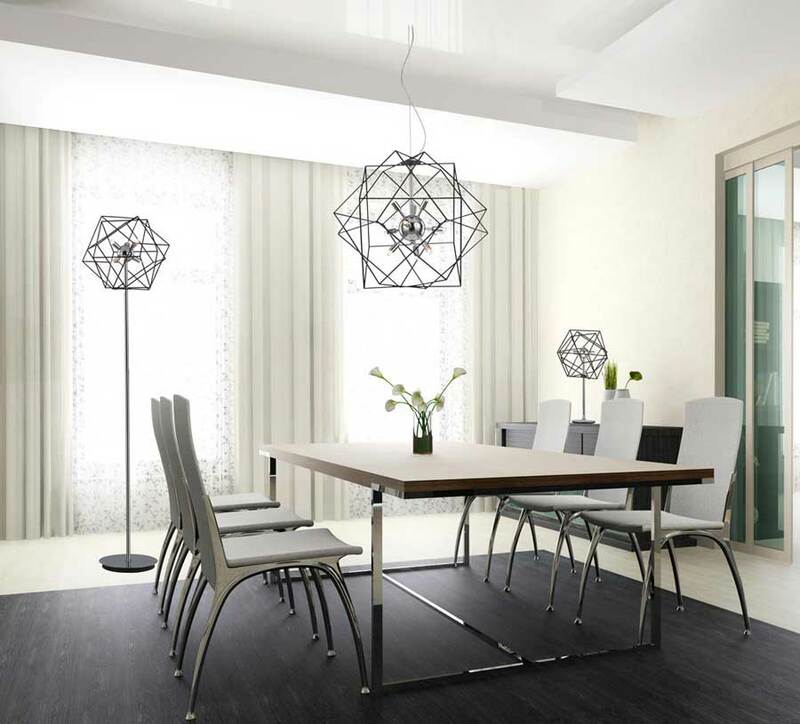 Part of the ultra-modern Vinci lighting collection that includes a coordinating nine-light ceiling pendant and floor and table lamps, please scroll down this page to view. Height adjustable at the time of fitting only, please see the technical information below for dimensions. This contemporary light is supplied by Franklite Lighting who have been one of the pioneers in the design, manufacture and distribution of high quality lighting such as the Vinci 6 light polished chrome ceiling pendant with antique metalwork you see here.